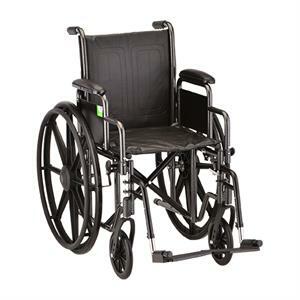 The 5000 series steel wheelchairs represent the highest standard in affordable quality and style. The Steel Wheelchair 16" comes equipped with detachable and reversible desk arms and swing away footrests. It also features dual axle positions for quick seat height conversion and flame retardant black vinyl upholstery.